Your satisfaction represents an essential responsibility for Smiling Shoes, so we invest all our resources to offer you the best quality when you purchase one of our products. Each pair of Smilling Shoes is entirely manufactured by hand, after your individual specifications, using genuine leather, materials and accessories carefully selected to reflect our ongoing care for quality and design. Small imperfections, slight variations in colours or treakings therefore should not be considered as defects, rather they are features of a natural product and unique workmanship. Please be assured that all Smiling Shoes products are quality controlled and checked for any manufacturing faults in order to fulfill our highest quality standars. Handmade in Romania. This warranty represents the certainty of the quality that Smiling Shoes products offer and it applies to any product acquired from smilingshoes.com. The duration of warranty is a limited time which flows from the moment in which the product was purchased until the date on which the producer takes the responsibility of remediation or replacement of the product, at its expense, if the deficiencies are not attributable to the buyer. Smiling Shoes products are guaranteed for 30 days starting from their acquisition date. Warranty certificate should be found printed on the back of the Smiling Shoes boxes. So, in the unfortunate case of major manufacturing faults discovered within this timeframe, you have to immediately announce us and therefore return the products for further inspection. Warranty certificate is in compliance with consumers’ right as stated in Law no. 449/2003 and OG no. 21/1992. We guarantee that the product purchased from SC ELDUR PROD SRL is a safe, new (unused), authentic (the product presents elements of identification of legal trademark registered) and free from any manufacturing faults. Important: warranty certificate applies only if the buyer provides proof of purchase – it is compulsory to present the invoice / receipt. skins that have been waxed and polished by hand, in this case the skin continues to ‘wear out’ naturally, coloured abrasions on the surface of leather is an intended effect, which occurs only after wearing and this just brings individuality to the products. - Natural leather footwear can be cleaned from dust using a soft cloth / sponge / brush, and the greasy stains can be removed with water and 1-2% detergent. - For a better maintenance of leather surfaces it’s highly reccommended to use, after few wears, a footwear cream / wax and to carefully spread it all over the surface using a soft sponge / brush. Before applying the footwear cream / wax, the shoes must be perfectly clean and dried. 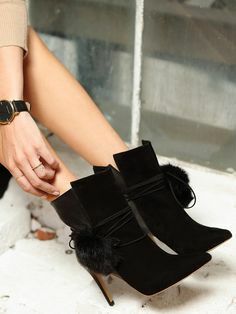 - Natural suede footwear can be cleaned from dust using a rough brush, and the greasy stains can be removed only with specific cleasing solutions. - It is strictly forbidden to wash the footwear in the washing machine. - Please note that we are not liable for any faults occured due to incorrect use or maintenance of the footwear, nor for the discomfort derived from wearing the wrong size of shoes. - After each wear, shoes must be cleaned and put on the right size and format shoetrees. In order to ensure a sanitary wearing and high usability, we recommend wearing alternatively 3 pairs of shoes in a period of 6 months. - Washing the footwear with water is strictly forbidden. Do not use bleach, detergents and any products based on solvents, stretching, cleaning, waterproofing, alcohol, benzene, etc. - Wet shoes must dry slowly at room temperature, away from direct heat sources. Do not use the drying fan, heater, fire, hair dryer or other heat sources. Excessive use in damp conditions will cause the leather irreversible deformation. - The faces of the footwear must be spared from direct shocks and hits. - Avoid excessive heat which can lead to reactivation of adhesives and peeling of the soles. - Outsoles and faces must be protected from contact with solvents, tar, soft bitumen or other corrosive materials or defrosting substances. Also, avoid hanging or stepping on sharp metal objects, scrap glass, insecticides, oil and gasoline, thinners etc., thus leading to the destruction of natural leather insole. - Leather soles don’t have anti-skid qualities, so please be aware of the slipping danger, especially in the wet season. - Please use a shoehorn to avoid damage to the shoe heel. - Because the lining skin has not been excessively chemically treated for fixing the pigment (in order to protect your skin), please be aware of the colour migration risk. We recommend wearing assorted or dark stockings. - For interior maintenance, clean it with a soft, damp cloth, and avoid products containing acetone, acids, alcohol or any other substances that have not been tested and recommended by us. - Leather covered heels are more susceptible to wearing faults and can be damaged after driving, stepping in drain grates, in broken glass or soft bitumen on sidewalk in hot weather. - Avoid storing near heat sources and exposure to sunlight or pressure. This can cause the discolouration of the product.